As a Holistic Nutritionist, Lauren takes an integrative approach to food and health. By balancing our diets, our approach to medicine and preventative care and our everyday lives, we are able to sustain a happier, healthier self. So Fresh Nutrition was developed on the reality that whole, nutritious and delicious foods are often overlooked. As our days get busier and our schedules more demanding, we find ourselves neglecting the main thing that frames our health: Food. Through So Fresh Mag, Lauren offers amazing recipes and nutrition advice, incredible nutrition, weight loss, detoxification and fitness packages. Lauren offers nutritional services for individuals and families as well as through educational programs. 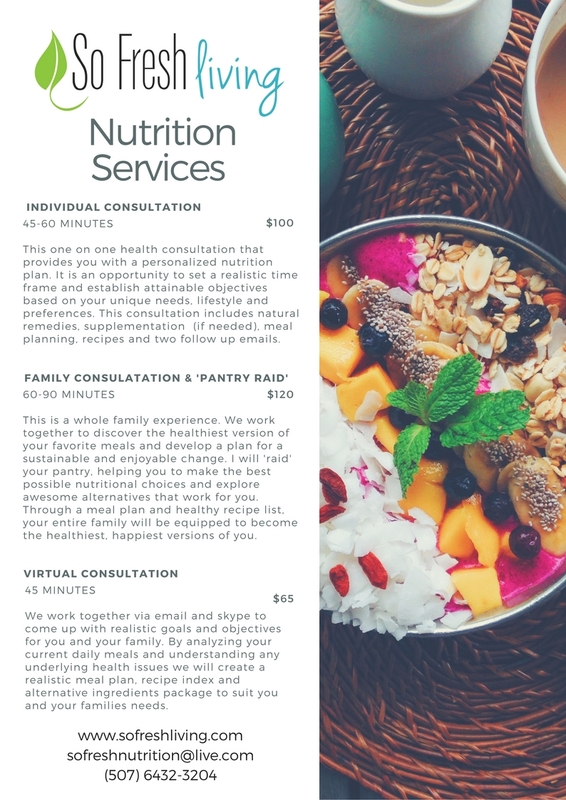 To book nutritional consulting in Panama City or a virtual consultation, please review the price list below and contact us. Lauren also offers culinary experiences, cooking classes, nutritional consulting and detoxification services through So Fresh Living retreats.